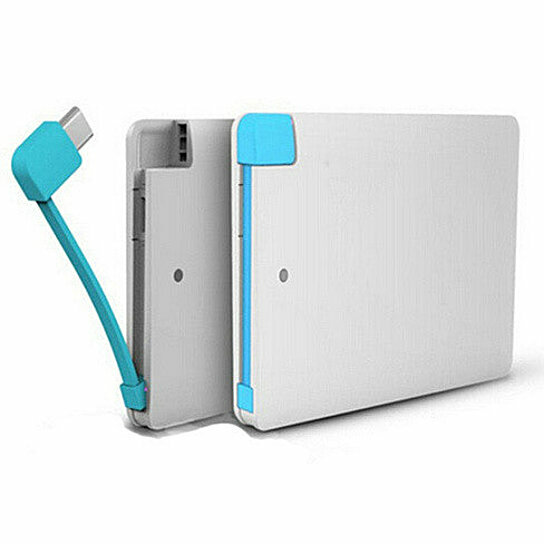 The Slim Pocket Charger is a thin backup battery that will charge your phone or device and provide you the necessary battery life to continue using it. It has a built in charging cable and accessories that will charge your Apple and Samsung devices. Can charge iPhone & Samsung devices. 40% on Tablets to 100% recharge on Smart Phone devices. Takes 2 hours to charge or recharge fully. Lightweight under 2oz and less than 4.5mm thick little bigger than a credit card. Comes in White color with blue cable.